The recent deaths of two young women health workers in Nigeria, Saifura and Hauwa, are the latest tragic examples of the dangers faced by workers when delivering public services. However, on this 25 November, the International Day for the Elimination of Violence against Women, we must remember that it is not only in the extreme conditions of conflict zones that workplace violence occurs. 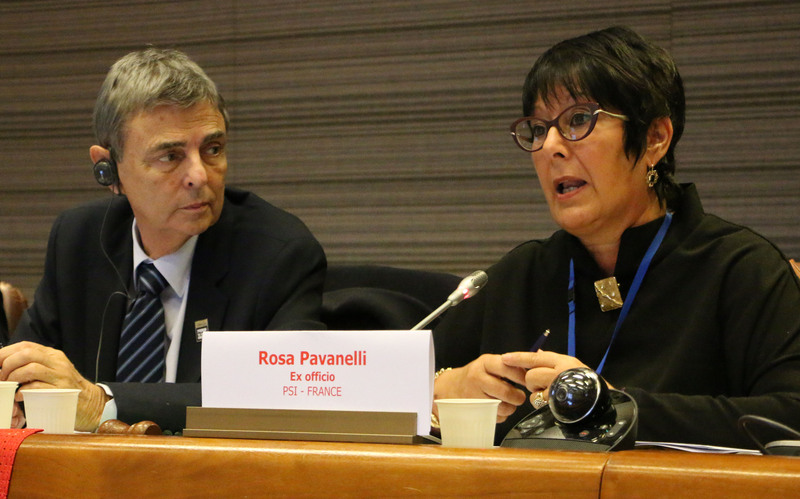 The PSI Executive Board (EB) 153 met on 14-15 November 2018 – the first regular Executive Board meeting since PSI World Congress, in November 2017 in Geneva. After voicing strong concerns about the rise of right wing populism around the world, the meeting heard a full report of global and regional activities, decided on further priorities and activities and welcomed 21 new affiliates. FES New York and PSI are organising a Global Trade Union Strategy Meeting, 5-6 November in NYC, to reflect on inputs, joint campaigning and mapping strategic opportunities for trade union action in the lead up to 2019. New report on "Extreme poverty and Human rights" finds that "widespread privatisation of public goods in many societies is systematically eliminating human rights protections and further marginalising those living in poverty".